Carles Puyol carried out his entire professional career at Barça but his beginnings were with his local side La Pobla de Segur. In his early years he showed great promise and in 1995 when he was 17 he joined the FC Barcelona youth system and moved into La Masia. He very quickly became a regular at the back for Barça B and on 2 October 1999 he made his long awaited debut for the first team. From that moment on, Puyol began to make regular appearances in the first team squad, often initially starting at right back. Thanks to his versatility and his appetite for hard work, he also adapted to playing at centre half, the position in which he would eventually establish himself both at Barça and in the national side. Puyol had to wait until the season 2004/05 to win his first major trophy with the balugranes. He was the club captain and a key member of Frank Rijkaard’s side that claimed the league title that season, Puyol holding aloft the trophy in front of the Camp Nou crowd. Success continued as the following season with Barça retaining their league title and claiming the Champions League title in Paris. During Josep Guardiola’s time as coach Puyol continued to play a vital role in the Barça back four before injury finally caught up with him in his final two campaigns as a player. When he finally decided to hang up his boots, only Xavi Hernández had played more games for the Club in official competition. 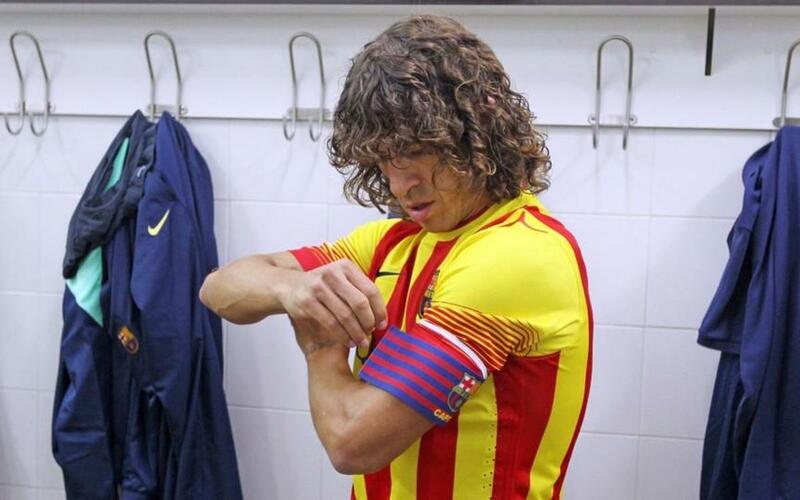 Aside from trophies and individual accolade, Carles Puyol’s career will also be remembered for iconic gestures. Two in particular stand out in the memory: kissing the captain’s armband during the historic 6-2 victory in 2009 at the Santiago Bernabéu and allowing Éric Abidal to lift up the Champions League trophy in 2011 at Wembley.